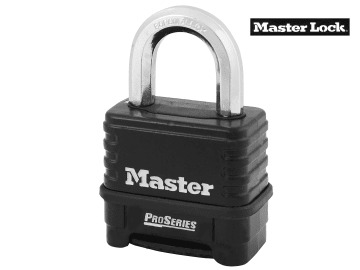 The Master Lock 1178D ProSeries® 4 Digit Padlock has a strong and durable die-cast zinc body with octagonal boron carbide alloy shackle gives the lock superior protection against forced removal by cutting. 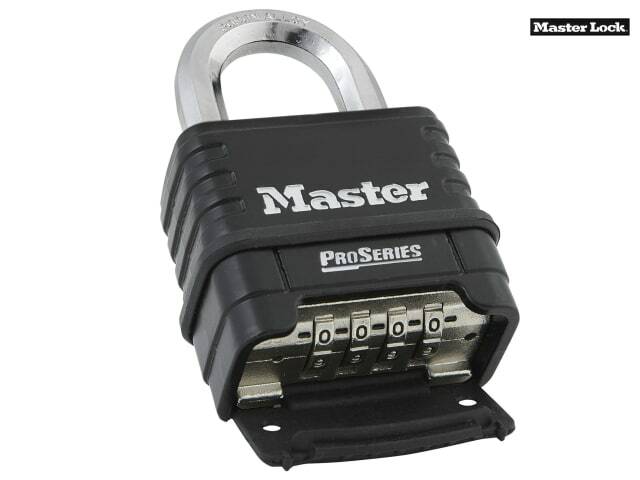 The resettable 4-digit lock has the possibility of over 10,000 combinations and the Deadlocking Mechanism protects against prying, shimming and rap attacks. 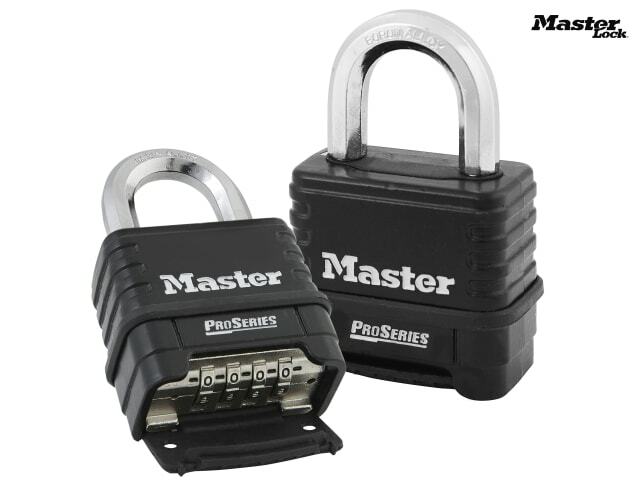 The combination dials are extremely easy to use thanks to Master Lock's unique blind system, they're easy to turn even when you're using gloves or when light is poor. 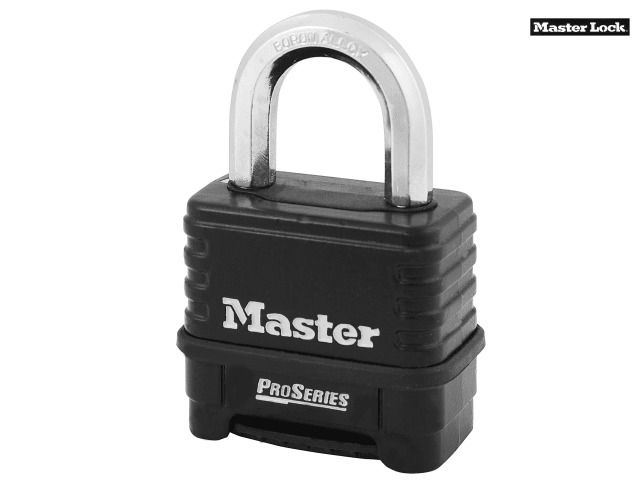 The lock is extremely sturdy thanks to the shackle seal and combination dial dust cover to protect internal integrity and protect against dirt and debris. Body W x H: 57 x 50mm. Shackle W x H: 24 x 27mm.